Harm reduction advocates renewed a call for the province to reverse its decision to freeze the expansion overdose prevention sites - a day after Toronto police revealed seven people died from opioid-related overdoses in less than two weeks. Harm reduction advocates have renewed their call for the province to reverse its decision to freeze the expansion of overdose prevention sites — a day after Toronto police revealed seven people died from opioid-related overdoses in less than two weeks. "It's something we should be really worried about," said Zoe Dodd, a harm reduction worker at the Toronto Overdose Prevention Society. "We are talking about an emergency that is happening and continuing to happen, and we need to continue to have emergency measures and responses." Mayor John Tory, during a Wednesday news conference, said the recent spike in overdoses is part of a "growing crisis" that is affecting more people that it ever has. "It's extraordinary, it's unacceptable and it's tragic," he said. Both the provincial and federal governments need to "come to grips with the issue of mental health and addictions," explained Tory, and scale up harm reduction efforts. "Until that actually gets invested in rehabilitation programs, in supportive housing, and in things like that, we're going to continue to see this kind of thing happen," he said. Meanwhile, Premier Doug Ford described the wave of deaths ravaging the city's west end as an "absolute tragedy," and said Wednesday the province is "doing everything we possibly can" to fight the opioid crisis. "I can't remember this many overdoses," said Ford. "It's a major, major crisis." Over the past several months, the city of Toronto has responded by opening four supervised injection sites and four overdose prevention sites. 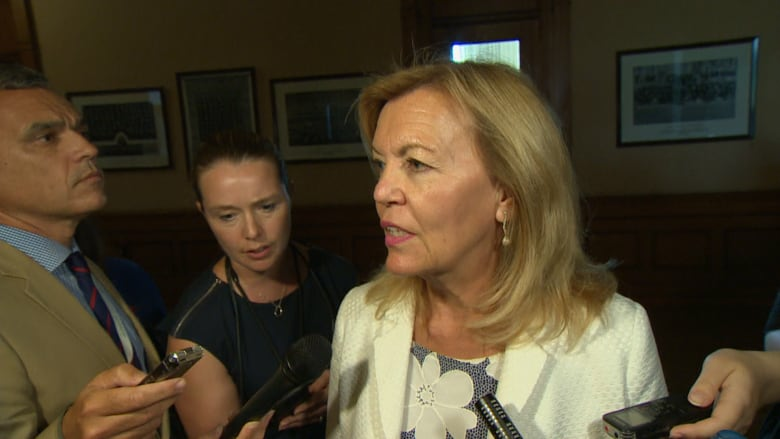 But last week, Health Minister Christine Elliott froze the opening of three new overdose prevention sites across Ontario. "The ministry is pausing the approval of any overdose prevention sites that are yet to open to the public," her office said. Toronto's Parkdale Community Health Centre was one of the facilities paused as the province conducts a review of its harm-reduction practices and evaluates their merit. It was slated to open Monday, but the Elliott says a final decision will be made by the end of September. That's not good enough for Dodd. "We're in the middle of an emergency," she said. The Parkdale site is in one of the neighbourhoods where the latest overdose deaths took place, said Toronto police Det. Viv Meik. There were also fatalities in Kensington Market and the Annex neighbourhood. Ford stood by the decision to put new overdose prevention site approvals on hold, explaining the goal of the newly-elected Progressive Conservative government is to save lives, get people off drugs and into rehab. During the Ontario election campaign, Ford said the sites do little to help people with addictions get long-term help — an assertion fiercely disputed by harm-reduction advocates. Once again, the province's move was harshly criticized by advocates and drug users, including Andrew Brown. He is addicted to cocaine and relies on the services in Parkdale, one of the areas hit by the recent spike in overdoses. "I'm just fortunate I didn't get addicted to intravenous opiates," he said. Brown says he has witnessed several friends die of heroin overdoses. Their addiction, he told CBC Toronto, is a "massive slave driver" and therefore, "really tough for them to kick it." "They need more government awareness and assistance in dealing with this," he explained. Angela Robertson, the executive director of Parkdale Queen West Community Health Centre, says "there is a tainted drug supply." The small-scale supervised injection service is one of the city's busiest needle distribution programs, according to Toronto Public Health. "If we value the lives in our communities, including those who are using substances, then we should enable our systems to have supports in place," Robertson said. Overdose prevention sites are approved by the province and are temporary facilities set up to address an immediate need in a community. 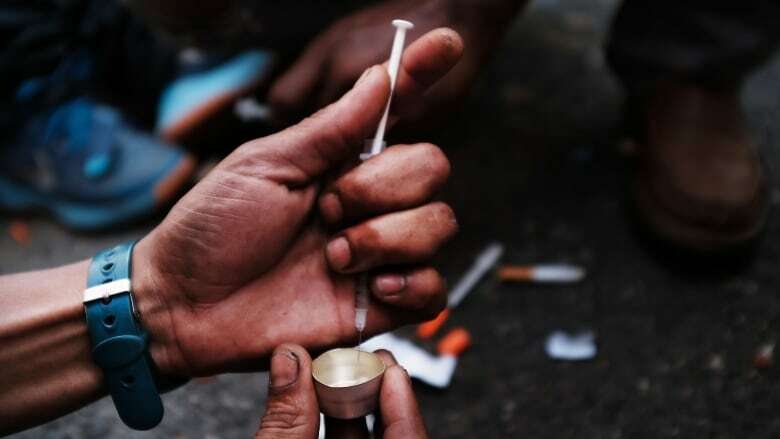 Drug users are supervised and can access harm reduction supplies, including naloxone, along with safely disposing of used needles and other drug paraphernalia. Safe injection sites are more permanent locations approved by the federal government following an extensive application process. Dodd, the harm reduction worker, says the police warning about the rise in overdoses was needed to raise the alarm. "If police didn't issue this alert, I don't think people would understand or know the severity of the crisis that's occurring," Dodd said. The overdose crisis is something Toronto has faced for several years. The number of dead has been climbing at an alarming rate, with more than 303 people killed by illicit drugs in 2017 — up from 138 the previous year, according to Toronto Public Health. The agency has yet to release updated numbers for this year. The vast majority of those deaths can be traced back to one substance — fentanyl. The powerful drug is up to 50 times more potent than heroin, and a dose the size of a grain of sand can be enough to trigger an overdose. 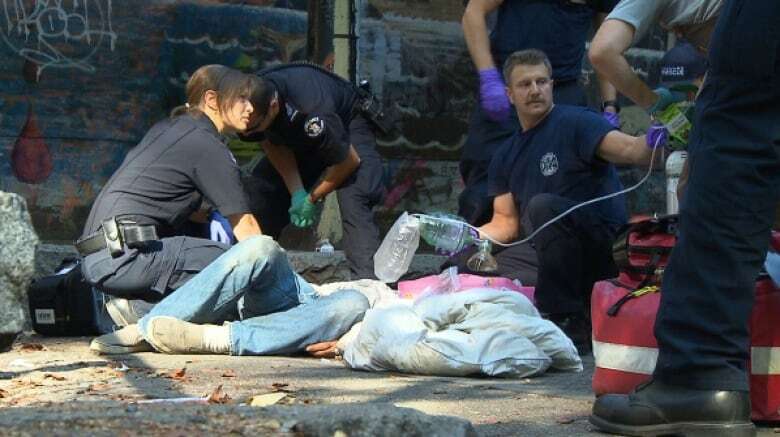 "Fentanyl has completely taken over the illicit drug market," Dodd said. Other toxic drug contaminants, like carfentanyl, are also starting to flood into Toronto, says Supt. Neil Corrigan of 14 Division. "Using non-prescription drugs — drugs you purchase on the road — shouldn't be a death sentence," he told CBC Toronto, explaining why police decided to issue the overdose warning.